He has an uncanny ability to mirror John’s voice and the clean-cut look takes you back to the time when “Rocky Mountain High” “Sunshine” “Calypso” and “Annie’s Song” topped the charts and his is popular music had the heartfelt message of caring for the earth and for each other. 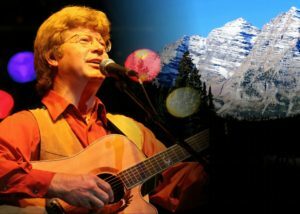 Over the years, Jim has been joined onstage by former John Denver band members and behind the scenes with John’s family and friends. Curry has developed a one-of-a-kind musical and visual experience in which parents, grandparents and children alike can immerse themselves in uplifting, heartfelt music with a message. The music is performed along with projected slides and videos of nature that will truly fill up your senses.